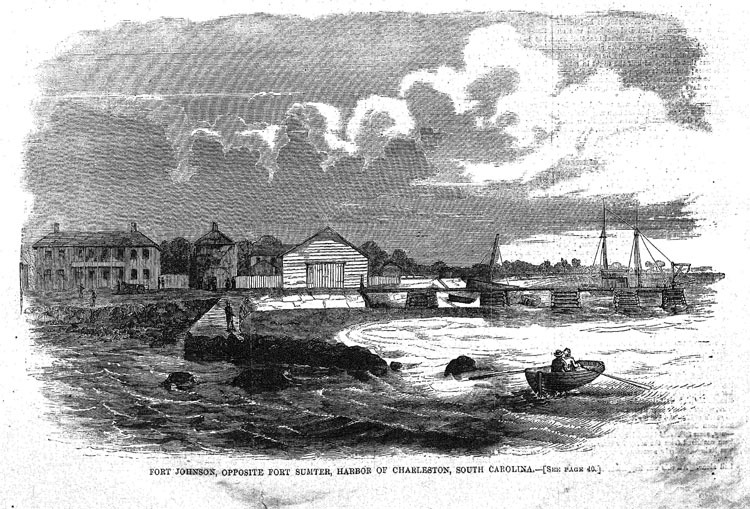 Caption: Fort Johnson, Opposite Fort Sumter, Harbor of Charleston, South Carolina. Source: Illustration from Harper's Weekly, January 19, 1861, page 37. Fort Johnson, on James Island, was one of the federal fortifications seized by South Carolina after its secession from the United States.